Players take the role of a tribe leader in 4000 BC and have to guide their people through the centuries. Over time, new technologies are discovered, which allow the construction of new city buildings and the deployment of new units. Players can wage war on one another or form diplomatic relationships. The game ends when one civilization has eradicated all others, accomplished the goal of space colonization or at a certain deadline. 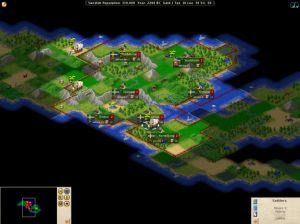 If more than one civilization remains at the deadline, the player with the highest score wins. Points are awarded for the size of a civilization, its wealth, and cultural and scientific advances.